The 10th VietAbroader Study Abroad Conferences Are Coming! Mark your summer calendar, U.S. higher education colleagues! I’m pleased to announce that the main 2015 VietAbroader Conferences – Passing of the Torch will be held on Saturday, July 18th in Ho Chi Minh City (HCMC) and Sunday, July 19th in Hanoi. For the first time ever, there will also be conferences in Hue (7/10), Haiphong and Can Tho (7/11), Nghe An and Danang (7/12). With this change VietAbroader demonstrates its commitment to reaching out to underserved communities, educating aspiring young people across Vietnam about U.S. study opportunities and providing them with accurate information and tools with which to make the best decisions for their future. This change will also enable U.S. institutions and schools reach out to a wider and more diverse pool of Vietnamese applicants in the coming years. Interactive Format: Guest speakers will share inspiring stories from applying to U.S. colleges to overcoming challenges abroad. Comprehensive Information: Participants will be given handbooks with accurate, updated information on U.S. college admissions. There are five (5) institutional sponsorship packages, including Diamond (5k), Platinum (4k), Gold (3k), Silver (2k) and Bronze (1k). (These costs are for Hanoi and HCMC only.) There is currently one Platinum slot left and the Gold, Silver and Bronze slots are wide open. The registration deadline is May 15, 2015. Follow this link to download both sponsorship documents: Benefits Information for Institutional Sponsors and the Conference Proposal. If you have any questions, please feel free to contact Ms. Thu Pham (anhthu.pham [AT] vietabroader.org), Co-President, or Ms. Thu Diem, Head of Partners & Sponsors, (anhthu.diem [AT] vietabroader.org). 09:10 –09:30 Presentation: Why Study in the U.S.? 09:30 –10:00 Experience Sharing: Opportunities & Challenges in the U.S.
Then US Ambassador to Vietnam, Michael Michalak, and I after delivering introductory remarks at the 2009 VAC in Hanoi. 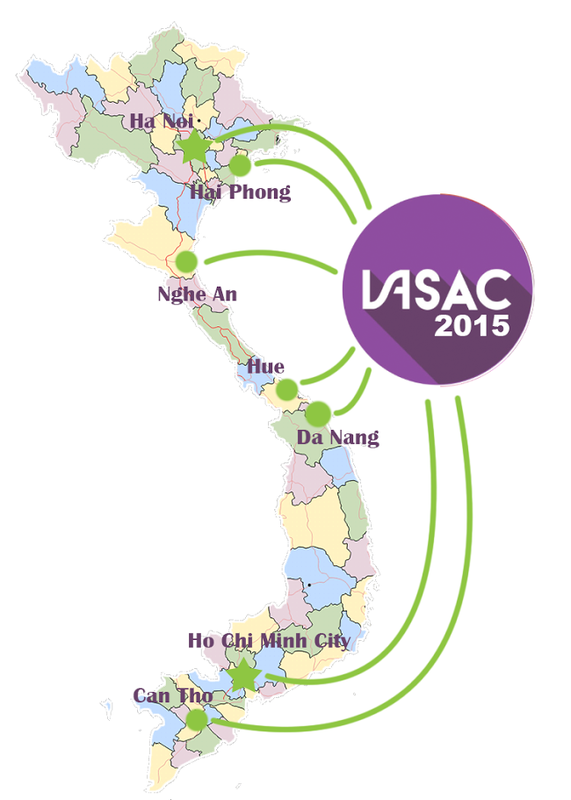 VA is Vietnam’s premier student-run nonprofit that provides students with information and guidance to encourage them to study abroad, primarily in the United States. The VA Study Abroad Conference (VAC), the organization’s flagship program, was launched in 2005. I had the honor of speaking at the first Hanoi conference. It is also my honor to serve as one of four VietAbroader advisers, a position I have held since the organization’s founding 11 years ago. When I joined the VA forum in 2004, before it evolved into a full-fledged student organization, there were only a few hundred members. There were over 80,000 when the forum was phased out last August in favor of Facebook and a more interactive website. Every year, it is my pleasure to help VA’s leadership reach out to potential institutional sponsors. 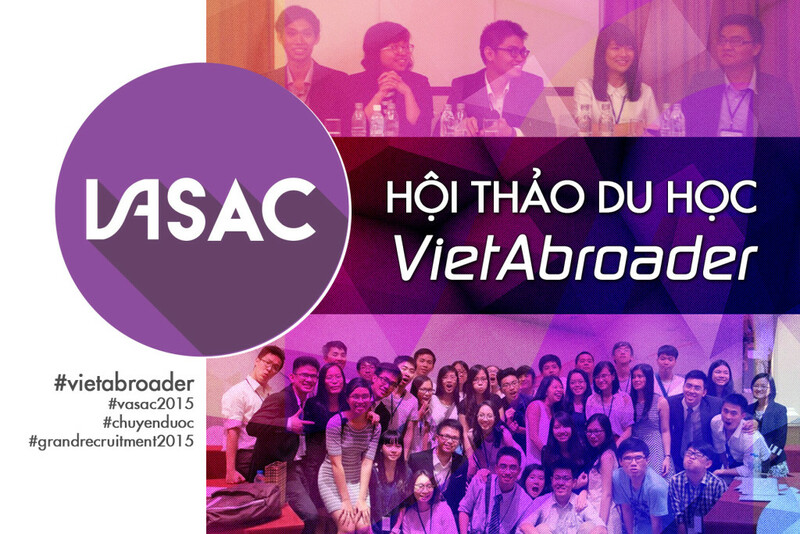 Why should U.S. colleges and universities that welcome Vietnamese students to their campuses consider becoming a VAC sponsor? Because it’s one of the most popular and widely publicized events of its kind, and will help you brand and market your school to a large and targeted audience. Capstone Vietnam, of which I’m managing director, is a corporate sponsor of the VACs and a long-term VietAbroader partner, along with IDG Ventures Vietnam and EducationUSA. I recently had the opportunity to speak to members of UPCEA at its 100th annual conference and post-conference international briefing with a focus on Southeast Asia: Malaysia, Indonesia, Vietnam – Higher Education in Context. The University Professional & Continuing Education Association (UPCEA) is the leading association for professional, continuing, and online education in the US. 2015 is a year of several noteworthy anniversaries in Vietnam of historical and personal significance. 40 years since the end of the war, 20 years since the normalization of relations between Vietnam and the US and 10 years since I moved to Hanoi. This presentation will include information, insights and observations gleaned from nearly a decade of living and working in Vietnam as an educational entrepreneur, first for a US international education NGO whose slogan is Opening Minds to the World and, since 2009, for a Vietnamese educational consulting company whose slogan is Reaching New Heights. The theme of the discussion is “taking Vietnam to the next level” – innovation over imitation, substance over image, veracity over veneer – and the contributions that education can make, including international educational exchange. The latter includes student recruitment, student and faculty exchanges, study abroad programs, service learning and internships, education and training programs, including online, etc. Vietnam is a country on the move. Daunting obstacles overcome. Suffering redeemed. Phenomenal progress achieved. New summits yet to be conquered. 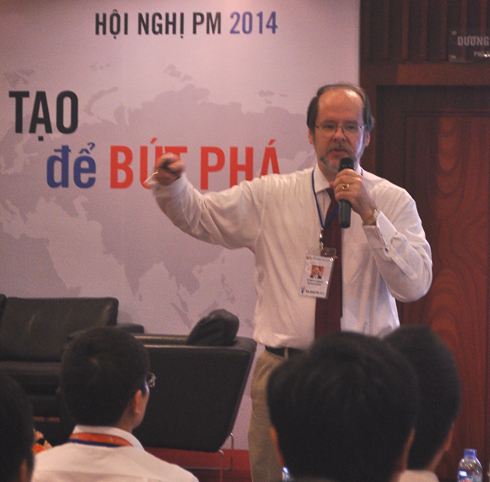 How can your institution benefit from incorporating Vietnam into its internationalization strategy? What contributions can you make to help take Vietnam to the next level under the rubric of global service and in the spirit of doing well and doing good? Dr. Jill Biden, one of my fellow speakers and wife of US Vice President Joe Biden. Dr. Biden was the conference keynote speaker. I also spoke at an innovation roundtable named after my blog (with an extra dose of “intrigue”!) and at a meeting of the UPCEA International Network about student recruitment in Vietnam. Thank you, UPCEA, for the opportunity to speak to your members about two of my favorite topics, international education and Vietnam! 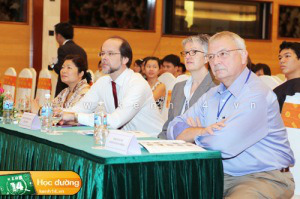 On July 31st and August 1st, US Consul General, Rena Bitter, hosted a conference on Vietnamese higher education. The star-studded list of guests included Dr. Ngo Bao Chau, the first Vietnamese to receive the prestigious Fields Medal, known as the Nobel Prize of Mathematics, Dr. Nguyen Quan, Minister of Science and Technology, and Professor Bui Van Ga, Vice Minister, Ministry of Education and Training. About 150 people attended the conference. You can find the agenda here, along with a number of presentations in the form of PDF downloads. 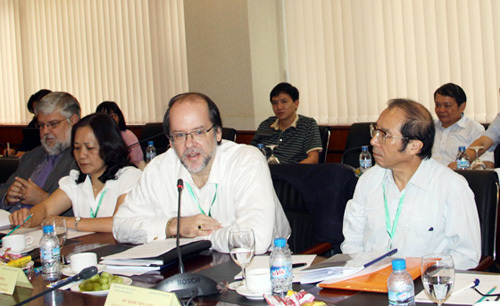 The 1.5 day conference, entitled “Vietnam Education Dialogue: Higher Education Reforms” and organized by the Education Dialogue Group and Dr. Chau, “brought together senior government officials, educators, college and university representatives, and businesspeople to discuss strategies and recommend reforms to Vietnam’s higher education system,” according to a US Consulate General press release. “The Vietnam Education Dialogue is part of the U.S. government’s commitment to this joint goal, based on enhancing educational, cultural, and people-to-people ties between the United States and Vietnam,” the statement added. Soft Power: Given the fact that education looms large in the US government’s exercise of soft power in Vietnam and other countries, I view these events primarily as political exercises, something to write about and showcase in a press release, media report, and post-conference diplomatic cable. They are part of an ongoing charm offensive that began in earnest during “Education Ambassador” Michael Michalak’s tenure. Impact: I wonder about the impact of these types of events, short- or long-term. Aside from the fleeting PR value, you can’t claim that they’re networking opportunities on this scale – in contrast to the annual education conferences of AMB Michalak. Authority: A couple of sources told me that while the academic presenters who hold positions overseas may be experts in their fields, they wonder A) how up-to-date all of these experts are vis-à-vis Vietnamese higher education; and B) why they think that what works in another country will work in Vietnam. More Inclusive? I know this is asking a lot of what is essentially a very conservative entity with its own narrow agenda but… why not expand the circle and include other voices? This is about dialogue, after all. Below is a note I sent to US higher education colleagues about the summer VietAbroader Study Abroad Conferences. I’m pleased to announce that the 2014 VietAbroader Conferences – Passing of the Torch will be held on Saturday, July 19th in Ho Chi Minh City (HCMC) and Sunday, July 20th in Hanoi. Follow this link to download both sponsorship documents: Benefits Information for Institutional Sponsors and the conference proposal. You can register here to become an institutional sponsor. Although the registration deadline is May 9th, the Diamond, Platinum, and Gold sponsorship levels tend to fill up quickly, so if you’re interested in becoming a sponsor, register ASAP. Thank you for giving some thought to sponsoring this unique, high-profile event. VA is Vietnam’s premier student-run nonprofit, which provides students with information and guidance to encourage them to study abroad, primarily in the United States. The VA Study Abroad Conference (VAC), the organization’s flagship program, was launched in 2005. 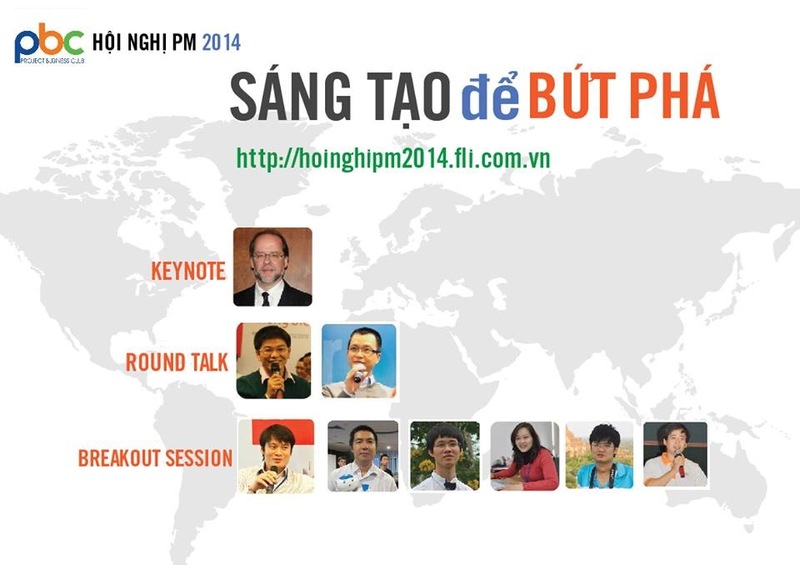 I had the honor of speaking at the first Hanoi conference. It is also my honor to serve as one of two VietAbroader advisers, a position I have held since the organization’s founding 10 years ago. When I joined the VA forum in 2004, the year of its founding and before it evolved into a full-fledged student organization, there only a few hundred members. There are now over 80,000. Every year, I help VA’s leadership reach out to potential institutional sponsors. Why should U.S. colleges and universities that welcome Vietnamese students to their campuses consider becoming a VAC sponsor? Because it’s one of the hottest and most widely publicized events of its kind, and will help you brand and market your school to a very targeted audience.